A few new F21 goodies! It seems this store is CONSTANTLY coming out with new items that I just can't live without. 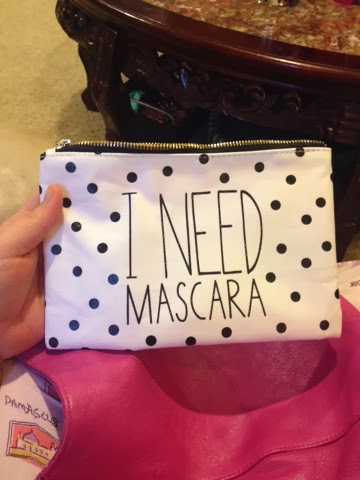 First thing I picked up was this medium size makeup bag. I adore this 'I Need' line. The stuff is just so cute. 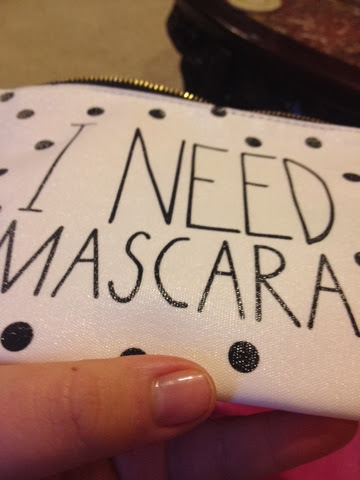 I bought this particular makeup bag to carry in my purse. I was pleasantly surprised by the finish on it. 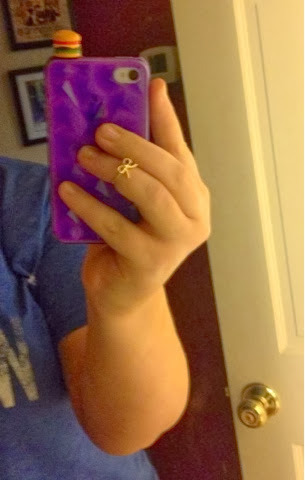 I don't know if you can tell or not, but it is kind of slick/shiny so it will be easy to wipe off and keep clean. Silky baby pink inside. Love. 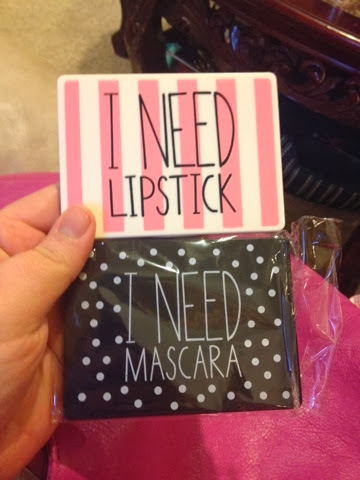 I had picked up the 'I Need Lipstick' compact in a previous haul, this time I got the 'I Need Mascara' one. 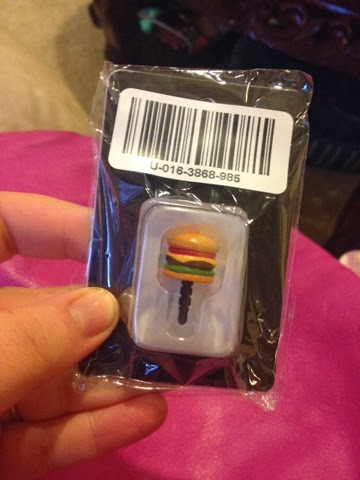 I love earbud accessories. I had been using my little fox friend from Urban Outfitters, which I totally love, but found this cheeseburger for like a buck. It's actually heavier and snaps in place tighter than the fox. Totally love this. Also in this picture you'll see my bow midi ring. 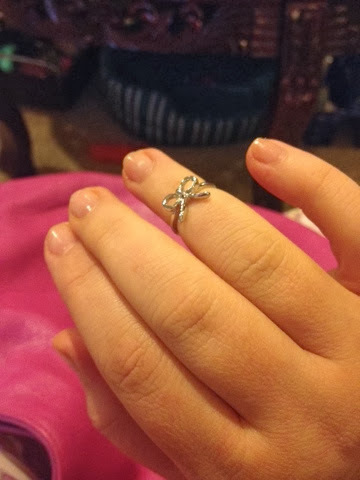 I got it in silver as well. (They were $3 each I think). FYI...these are only available in a size 3. 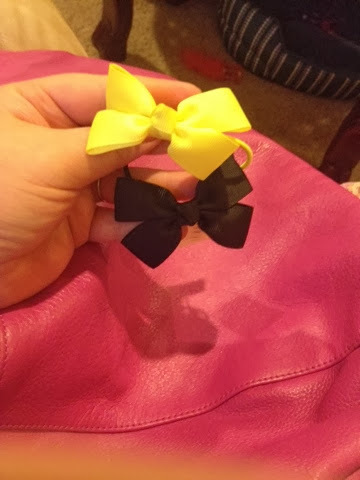 I picked up 3 hair bows. 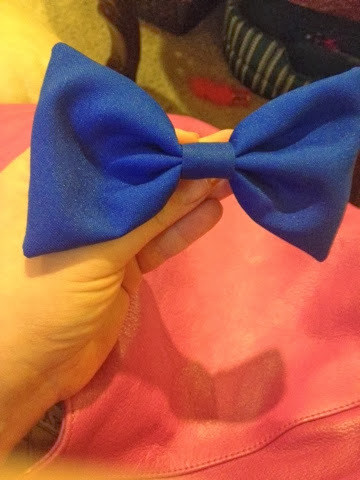 I don't know how much I'll wear the bigger blue one, lol. But I know I'll wear the smaller two with the elastics. 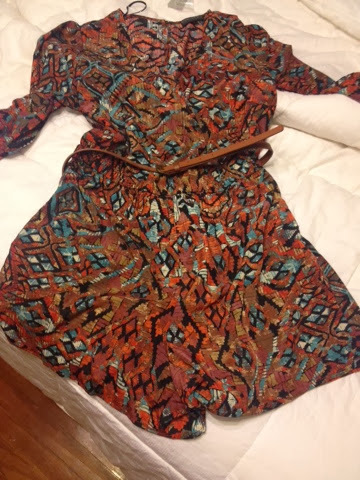 I have never worn a jumper or romper, other than when I was a toddler or whatever. They are a total pain to get off and on, but other than that I really like this. It's cool and light and will be great in summer I think. 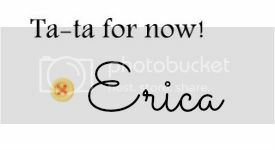 Let me know what goodies you are lovin from F21, there are so many more things I am dying to get my hands on!!! Stop by again soon!